The 2017 Ram ProMaster 2500 is the perfect workhorse to handle all your commercial and hauling needs. 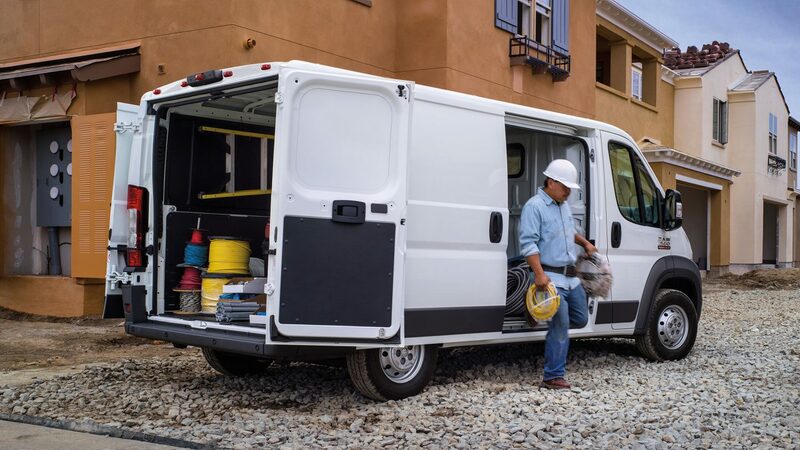 Superior cargo space, convenient access, and an engine that is just as powerful as it is efficient, the 2017 Ram ProMaster 2500 can always be depended on to get the job done, regardless of the task. And while the ProMaster 2500 is certainly built for work, it includes plenty of modern features to make your drive pleasurable as well. Whether you’re hauling a shipment to a client across town, or you’re on a longer trip across state lines, the 2017 Ram ProMaster 2500 is more than equipped to take on any task while also providing you with a comfortable driving experience. If you’re looking to purchase a 2017 Ram ProMaster 2500 for sale in Tempe, AZ, come visit us at Tempe Ram. Our collection of 2017 Ram ProMaster 2500 models provides several options to help you find the perfect van that is suited to your unique needs. We cater to the auto needs of the Tempe area and beyond, as well as Phoenix, Glendale, and Gilbert, AZ, and our diverse selection of new and pre-owned Ram trucks and vans is impossible to beat. Stop in to meet our staff and we’ll do all we can to see you off in your own 2017 Ram ProMaster 2500 in Tempe, AZ! Come by Tempe Chrysler Jeep Dodge Ram to view our lot for yourself, or feel free to contact us at the dealership with any questions you may have about our inventory or financing. Most commercial vans are nothing special in the looks department, but this Ram is dressed to impress. The 2017 Ram ProMaster 2500 displays the stylish and familiar Ram exterior features found in other models. The ProMaster 2500’s sleek, contemporary front end showcases trademark Ram styling, with the iconic Ram grille design as the centerpiece. Dual sliding doors provide convenience in regard to accessing the interior, along with the van’s rear double doors that incorporate a low-step design. 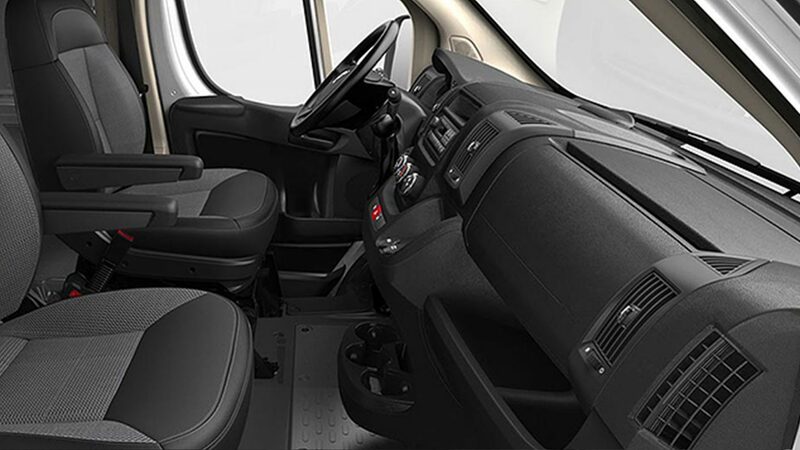 The cabin of the ProMaster 2500 is unrivaled among its contemporaries. A best-in-class available cargo space of 420 cubic feet allows for storage of even the biggest loads. Numerous storage options in the passenger area help to keep your important items organized and on hand at a moment’s notice. Available Uconnect® 5.0 technology offers hands-free control over both music and phone calls, and plush bucket seats always ensure a comfortable drive. The 2017 Ram ProMaster 2500 not only excels in load capacity and comfort, but performance as well. The standard 3.6-liter V6 24-valve VVT engine provides exceptional power when you need it, and an available 3-liter I-4 EcoDiesel engine provides an alternate option for your preferences. With a max towing of 5,100 lbs., and a best-in-class max payload of 4,020 lbs., the ProMaster 2500 possesses superior capability to give you the power to face any job. 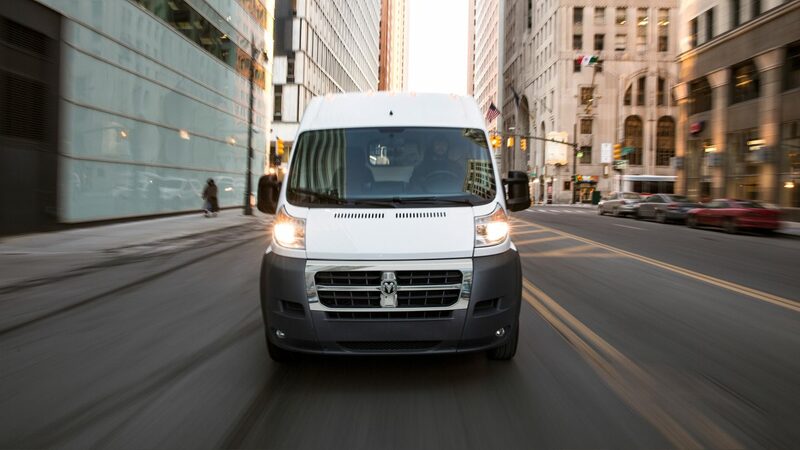 This power does not come at the expense of fuel economy however, as the ProMaster 2500 is one of the most fuel-efficient cargo vans on the road today. Smooth shifting is always ensured with a six-speed automatic 62TE transmission. Curious to see the ProMaster 2500 in person? Come see us at Tempe Chrysler Jeep Dodge Ram today for a test drive!